Enjoy exclusive access to The Sloane Club - a private members club with 130 tranquil bedrooms which are usually only available to Members. Enjoy a fantastic location in the most elite area of London, in the heart of Chelsea, with world-class shopping, culture and dining on the doorstep. Treat yourself to afternoon tea, a cocktail on the roof terrace or an indulgent meal – Executive Chef Bernhard Mayer was previously at The Savoy. The Sloane Club is perfectly situated for its guests to sample the great range of shopping, sightseeing, dining and entertainment that London has to offer. They are located within walking distance of the myriad boutiques, gift shops and designer stores on the ancient thoroughfares of the Kings Road and Sloane Street. Chelsea, Mayfair and Knightsbridge are within easy reach, and The Sloane club is a short walk from the river, the green spaces of Hyde and Battersea Parks, the Chelsea Physic Garden and the Royal Hospital- home to the famous Chelsea Pensioners. 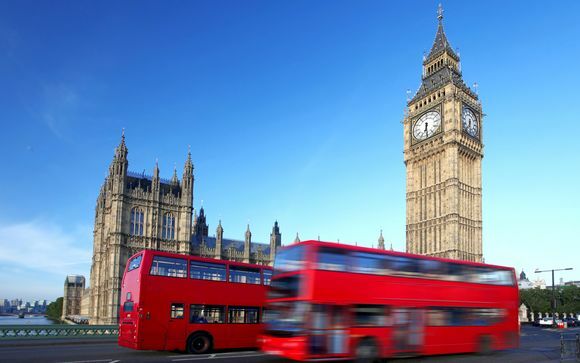 The concierge can arrange any travel needs and provide information about London’s acclaimed transport system, allowing more relaxation for guests. 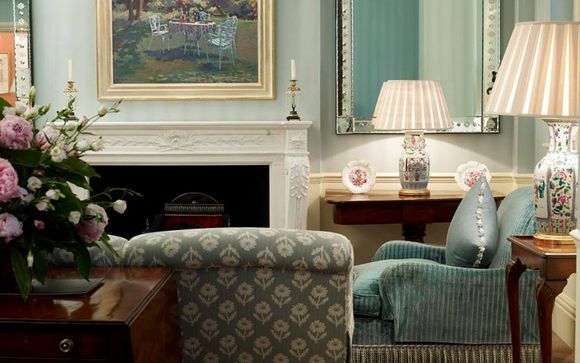 All in all, The Sloane Club really is the perfect place to stay in London. Number 52 Lower Sloane Street started life as part of a handsome late Victorian redevelopment on an old 18th-century site in Chelsea known as Hans Town. The buildings with their red-brick gables and fine detailing were in the style dubbed ‘ Pont Street Dutch’ and were enviably near the many fashionable milliners, mercers and glovemakers lining the Sloane Square. The Service Women’s Club was founded for serving and former lady officers of the Armed Forces in World War II, before becoming the Helena Club for Ladies, established in the early 1960’s by a lady-in-waiting to Princess Marie Louise. Gentlemen were admitted during the following decade and by 1976 it had become The Sloane Club. 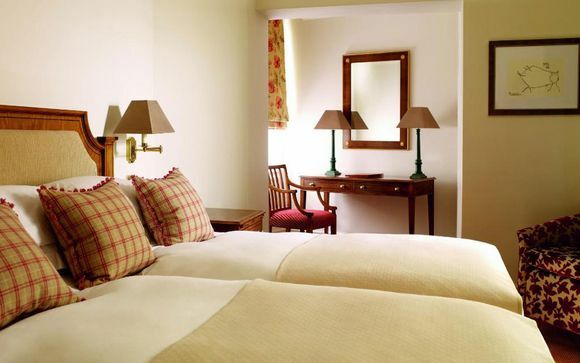 The Club’s tranquil bedrooms and sumptuous furnishings make for the perfect night’s sleep. Bedrooms are decorated in Country House style and are complete with all amenities and newly refurbished bathrooms and L’Occitane toiletries. Executive Chef, Bernhard Mayer creates delicious seasonal menus, celebrating the best of British and European Cuisine with a hint of Eastern flair following his experience working in Bali and Hong Kong. The Dining Room, a Linley designed, relaxing space, is the perfect setting for intimate dinners. In The Garden Room, breakfast, lunch, dinner, brunch and of course a quintessential Afternoon Tea are all served throughout the day. 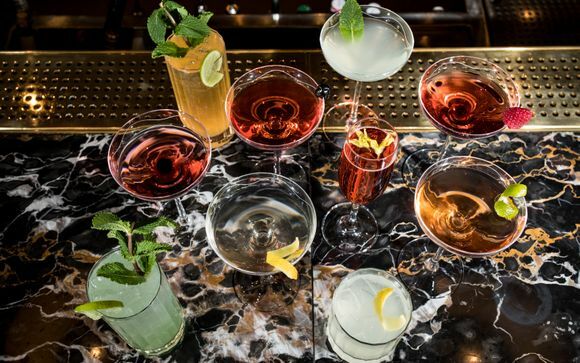 In The Bar, the Chef’s menus can be enjoyed, complete with the team’s signature cocktails – designed by The Club’s expert mixologists. In the summer months, head to The Club’s sunny and private Roof Terrace where a special summer menu is served. Just for you: Discount at 100 local boutiques. Guests at The Sloane Club are invited to enjoy The Sloane Club Spa – a haven of indulgence which is a destination in all things pampering, with three treatment rooms and an extensive list of treatments, ranging from luxurious and restorative facials to manicures and pedicures – perfect for holidays or special events. With a team of therapists who have extensive expertise and training in nail treatments, massage, facials and waxing, The Spa is a place to be perfectly groomed and pampered, knowing that you are in safe hands.